Podium of the Italian Grand Prix 2015 in Monza. This weekend in Monza, the Italian Grand Prix saw three great champions walk onto the podium and gave watch collectors some hope of seeing some of the most coveted sports watches on their wrists. Lewis Hamilton, Sebastian Vettel, and Felipe Massa shared a historic podium on Sunday, not only for Formula One, but for the watch industry. Indeed, all are ambassadors of high-end Swiss brands which are slowly but surely redefining the most classic of watches: the sports watch. Developped as racing instruments and made in stainless steel to withstand the shocks that go with the sport, they used to be easy to define, and easier still to recognize. The most iconic of all, the Daytona was named after America’s famous International Speedway race. But there were no stainless steal watch in the paddock this year at Monza. Instead, trendy, avant-garde and high-tech watches are taking their spot and redefining this once conservative category into one of the most inclusive. The podium of the Italian Grand Prix taught us three things. The IWC Big Pilot embroidered on Lewis Hamilton’s left glove. The first is that any watch can eventually be a sports watch. The brainchild of Swiss marketing teams, partnership watches blossomed out of existing relationships with a number of high-end and high-adrenaline sports such as Formula One and as far back as the 1930s. But ironically, they no longer need to have ties with the sport. Its a strategy currently working wonders for IWC, who made the Big Pilot, a watch that has a military background, the face of their partnership with Lewis Hamilton and Nico Rosberg. Two variations of the new Hublot Big Bang Ferrari Carbon. The second is that collaboration between watch brands and their high-tech partners is Switzerland’s hottest trend. On the podium this week, Hublot and its new Hublot Big Bang Ferrari Carbon which borrows materials developed by the engineers of Scuderia Ferrari, set the pace for the industry. To celebrate this partnership, Hublot also welcomed Ferrari’s current team principal, Maurizio Arrivabene, as a new ambassador. If Hublot were the first to introduce carbon in the luxury sector of the watch industry, many are catching up and enjoying similar success stories with the ultra-modern material. Zenith’s El Primero Lightweight, a winner of the Sports category at the Grand Prix de Genève in 2014, and IWC’s Carbon Fiver Ceramic edition of the Ingenieur are two more examples of the modern sports watch. The third and final lesson from Monza is that high-end watches no longer depend on steel to protect their movements. 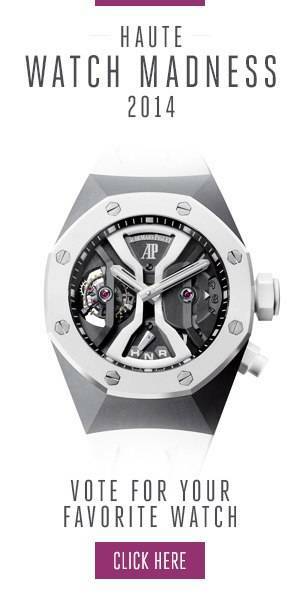 In 2005, Richard Mille proved so much when it released the RM 006 Felipe Massa for its first ambassador. Ten years later, the independent watch brand celebrated their friendship with the revered Brazilian driver, the first to ever wear a tourbillon watch throughout an F1 season, by unveiling the RM 011 Felipe Massa 10th Anniversary. In between, the two have won memorable races, and survived an infamous crash at the Hungarian Grand Prix in 2009. Monza will be seen as a classic for the watch industry, but it had no classic sports watches on the podium. Instead, the once conservative sports watch category is being re-defined by a generation of riskier designs beloved by the young racing drivers, and running laps around stainless steel watches. Photo Credit: AP. Follow Haute Time on Instagram to catch all of the new releases as they happen.